A large smoke plume from the Canadian forest fires just reached Europe. The picture below shows the OMPS aerosol index maps on August 21st, 2017. Fortunately, this kind of smoke plume is located at very high altitudes and it does not affect the air quality close to the surface. On the other hand, this case-study shows how such local emissions can affect the all globe in just a few days. This recent episode was presented today at the Finnish Air protection days – Ilmansuojelupäivät in Lappeenranta. 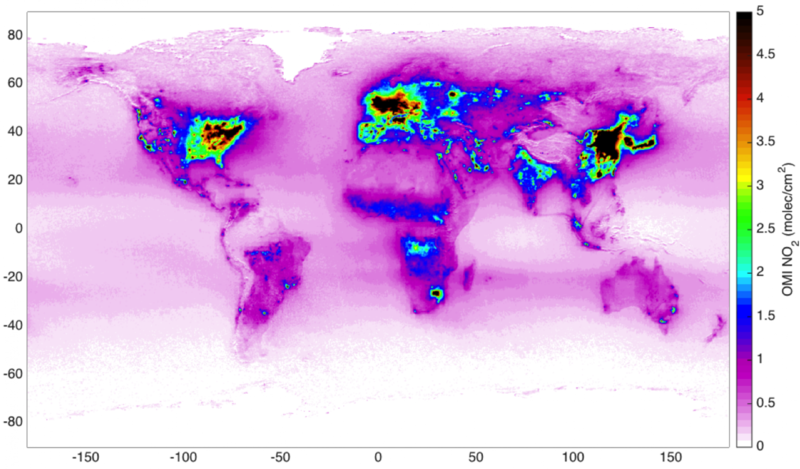 This is a nice example on how satellite-based observations can be used in the air protection monitoring . In addition, our talk covered the other applications and potential new opportunities in monitoring air quality and greenhouse gases from space in the Arctic region. 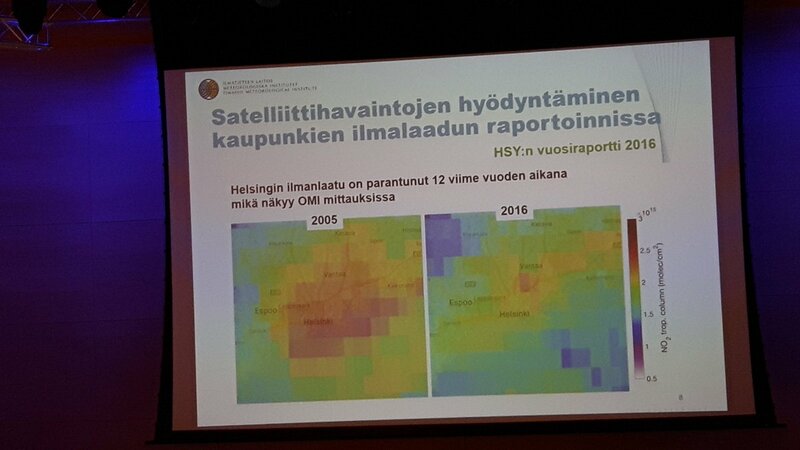 Among our results, we showed for example, the air quality improvements in Helsinki visible from OMI observations as well as space-based maps of man-made CO2 emission areas. Also a lot of other interesting topics today: Climate and air protection goals from the Finnish Chairmanship of the Arctic Council; advancing renewable energy’s use in the Arctic; new results in monitoring black carbon emissions from shipping. After all this, also a nice dinner at Lappeenranta’s fortress!